Thanks for stopping by San Diego Sax Lessons. My name is Ian Tordella and I teach saxophone and jazz improvisation (including jazz, rock, funk, classical, and other styles). If you are interested in lessons, please contact me at iantordellamusic@gmail.com. Accepting students for Summer/Fall 2018! Contact us today! I encourage all my students to enjoy exploring the sound of the saxophone and to find their voice on the instrument. Lessons include everything from reading and basic stylistic concepts, to improvisation, playing along with recordings of your favorite players, and transcription. 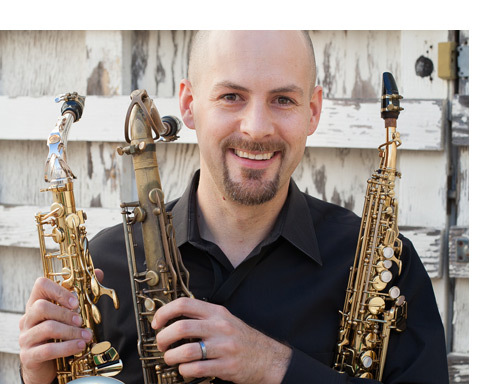 I am a graduate of the University of North Texas Jazz Studies program and have over 15 years of teaching experience. In the past I’ve had the opportunity to study with many inspiring saxophonists and musicians and I enjoy passing on the tradition to new students! If you are new to the website, you may want to check out the lesson FAQS.